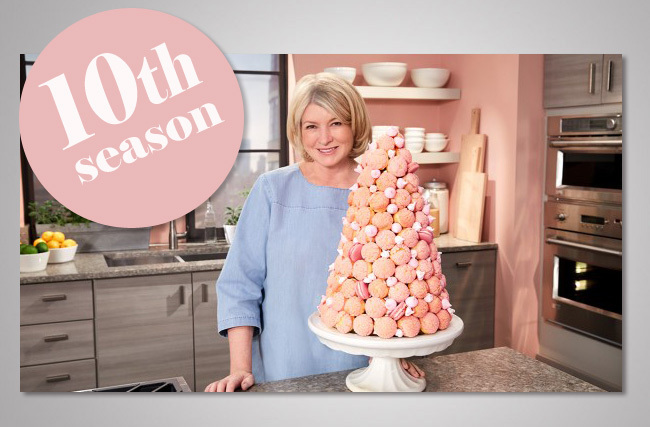 It seems unreal to me that Martha Bakes is now entering its tenth season! While the program had its first airing on the Hallmark Channel in 2011, where it enjoyed two seasons, it was PBS that really gave the baking series its proper audience. Since 2013, PBS and Martha Stewart Living have produced two seasons of the program per year and it has since become the channel's most popular baking series. On July 5th, the series will begin to air its tenth season with an episode on adorned cakes. This season will explore a range of new recipes, from desserts to breads to pastries - with a relatively heavy focus on desserts. (No complaints here!) Below is a summary of each episode. 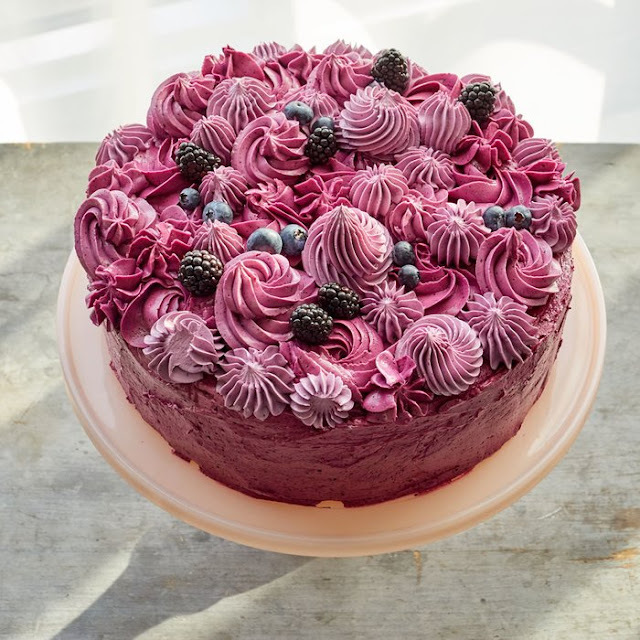 JULY 5 - EPISODE ONE: ADORNED CAKES - The season 10 premiere shows how to turn one basic recipe into three stunning celebration cakes: a berry chiffon cake, a confection-topped caramel chiffon cake, and a woodland stump cake that's truly a modern yule log masterpiece. 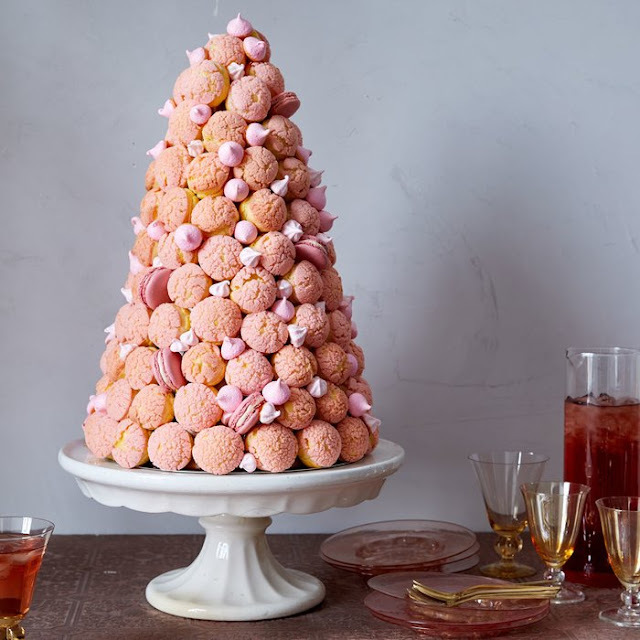 JULY 14 - EPISODE TWO: PERFECT PATE A CHOUX - Learn to make this magical dough that's the foundation for three spectacular filled desserts: pâte à choux swans swimming in a pond of chocolate, custardy coconut eclairs, and a towering pink croquembouche. JULY 21 - EPISODE THREE: DECORATIVE BREADS - Three boulangerie-quality breads: a crusty golden brown artisanal boule, a unique "edible landscape" onion and leek focaccia, and a buttery, multi-layered brioche feuilletée. JULY 28 - EPISODE FOUR: ELEGANT COOKIES - Recipes that turn humble cookies into art: "faux bois" vanilla and chocolate shortbread decorated with chocolate bark and pistachio moss, embellished wreath cookies with sugared flowers, and pretty-as-a-picture cherry blossom cookies. AUGUST 4 - EPISODE FIVE: MAGNIFICENT MERINGUES - Learn the foundation for three different meringue-based desserts: meringue wreath with jewel-like sugared berries, chocolate angel food cake with a decadent milk chocolate frosting, and almond dacquoise bombes. AUGUST 11 - EPISODE SIX: BREAKFAST PASTRIES - Join Martha to make an easy-to-prepare sweet-yeasted dough in three addictive recipes: pear and frangipane pastries, a pull-apart cinnamon and brown butter swirl designed to share, and mouth-watering jam-filled croustades. AUGUST 18 - EPISODE SEVEN: FANCIFUL TARTS - Tips and techniques for creating showstopping tarts, such as red fruit tart piled high with colorful berries, lemon custard tarts filled with a citrusy curd, and a rosy pink apple tart. AUGUST 25 - EPISODE EIGHT: IMPRESSIVE CHOCOLATE DESSERTS - S'mousses, a twist on the campfire favorite of graham crackers, marshmallow and chocolate; a chocolate and peanut butter tart; and a triple chocolate ice cream cake. Be sure to check your local PBS listings for air times. Click here for the official Martha Bakes website. You can also watch full episodes online at TVGuide.com after the shows air. I am always pleased to see that Ms Stewart's baking and presentation talents are appreciated. Unfortunately even with her high ratings additional shows on gardening are not produced. Well, at a recent event in Rhode Island, Martha mentioned that the PBS producers had renewed interest in developing a gardening show with her! We'll see! Just watched one of the recently recorded new baking series. Ms Stewart as always is an excelent teacher and even to a non cook/baker always makes the process interesting and "do-able". I also would like to compliment the set designer who succeeded in designing a warm and inviting backdrop to this baking show. Now just a little more imagination in the presentation of the finished product, and it would be a perfect show.